AWD Hobart at the ASC Shipyard in Adelaide. Image via Commonwealth of Australia, Department of Defence. Australia’s submarine maintenance and shipbuilding programs are going from strength to strength, according to ASC’s 2016-17 annual report. The report revealed the organisation delivered a profit after tax of $29.2 million and an annual revenue of $811.1 million. 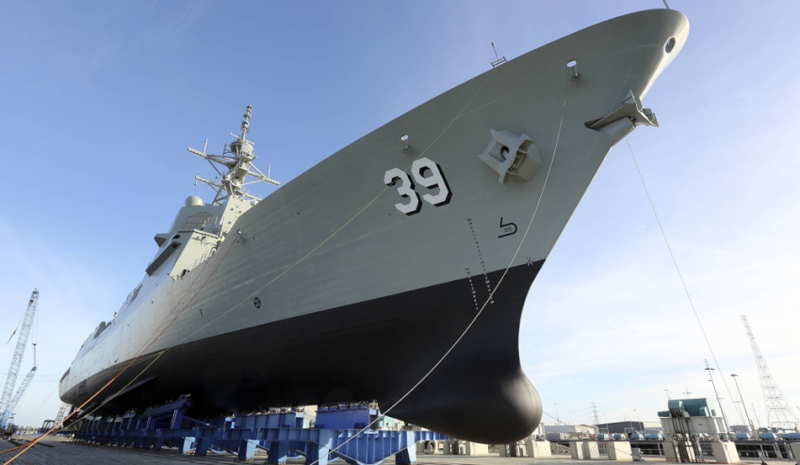 ASC chairman Bruce Carter said the improvements to productivity and efficiency were also to be celebrated, highlighting the success of the delivery of the first Air Warfare Destroyer (AWD) and improvements to the Collins Class sustainment program. "For the first time in Collins Class history we celebrated a period where five submarines were in the water at the same time, the successful launch of the second future destroyer, Brisbane, and delivery of the first-in-class future destroyer, now HMAS, Hobart," Carter said. ASC's interim chief executive Stuart Whiley said not only did its submarine business achieve better-than-benchmark performance in its core Collins Class submarine maintenance operations, but it continued to grow its capability to assist the Future Submarine program. "Among the year’s highlights was a major upgrade to ASC’s Western Australian facility to improve efficiency; the federal government announcing that Collins Class sustainment was an 'exemplar Defence program' following a further review by Dr John Coles; and an agreement between ASC and the Commonwealth to extend ASC’s submarine maintenance contract into a further five-year performance period," Whiley said. "ASC’s submarine workforce remains Australia’s leading expertise in submarine platforms, and in coming years can look forward to rewarding and challenging roles across Collins Class and future submarine-related operations." ASC Shipbuilding has partnered with international ship designers Damen and Lürssen, along with Forgacs/Civmec, for the SEA 1180 project, which will see the construction of 12 vessels.